Capitol Hill 60 Minute Photo is going to be the latest casualty in the neighborhood’s upswing in development. La Bella Vita, a new mixed-use apartment building project has most retailers on the 14th Ave strip looking at changes when the construction begins. 60 Minute Photo, however, is not so lucky. The building housing 60 Minute Photo and Salon Dewi is slated to be demolished, and the money isn’t there to keep the beloved film developer around. 60 Minute Photo will be leaving for good at the end of the year, which has been hard for Johnson to cope with. Travis “The Waxing Diva” Powell of Salon Dewi is also moving on. “I’ve been in this building 7 years, but with all this we figured it was time to leave,” Powell said. 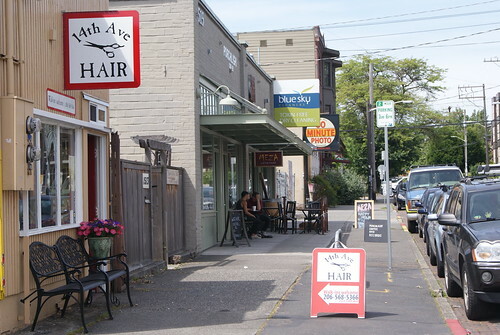 Powell secured a lease for a new location on 11th and Pike and will be moving at the end of the summer. “We actually still haven’t gotten an official notice from the developers. At this point, everything we know about the development is still hearsay. I have no idea when they are starting to build,” Powell said. Other retailers also seem to be in the dark — with things seemingly up in the air, most are shuffling for solutions and are unclear as to what the future will hold. Meza will likely be closing in January, but aren’t sure if they will be relocating elsewhere. Zack Bolotin at Porchlight said things haven’t changed since his last update — Porchlight will be moving to a nearby location and moving back in the original location once construction is done. Spun and Blue Sky Cleaners are in a similar position, thinking about relocation but unsure as to where. Previous reports have made it clear, though, that the developer is looking to work to integrate interested retailers like Porchlight into the future development. While retailers on 14th Ave are wondering what the future will hold, a new retailer is unexpectedly just opening up. 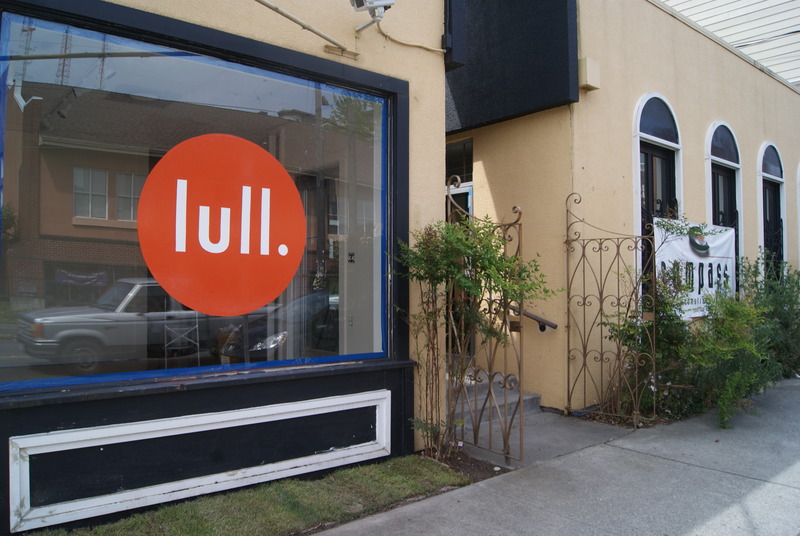 According to sources, an organic, all natural spa named lull. will be moving in to the strip. A person familiar with the situation reports that the spa will only be in the location for a few months before moving to a new location on Broadway — however that report remains unconfirmed. We’ll have more on the business soon when we get a chance to talk to the owners. Nice people at 60 Minute Photo. They were the last in the area to develop 120 film. Big loss for Cap Hill. My guess for Salon Dewi’s new location would be the space above Vermillion recently vacated by Graypants, or perhaps the green storefront next to No Parking on Pike. I LOVE 60 minute photo! I’ve been so lucky to live within walking distance to a wonderful place like that to take my film. They are great people, knowledgeable, and their service was excellent. Not to mention great pricing. I was hoping the influx of hipster kids shooting Holga cameras would keep them in business. I guess the reality is that film won’t exist in a few more years. so sad. Moonphoto does 120 also, but I guess they’re not exactly “in the area.” I’m sad to hear 60 Minute Photo will be closing. Is that like when you poop and pee in the bowl but it’s so gross that it just looks like a yellow/brown mess? That’s what it appears to me. Also. Thanks Microsoft for the wonderful color palette your employees have brought to Seattle. Those coders really know style with their white walls, one computer and one bed apartments! great! so good! get married! have kids! move away! Spoken like somebody who doesn’t have a clue. Only 20% of Microsoft’s Puget Sound employees live in Seattle. So whatever crap you have a problem with is coming from somewhere else. Maybe you should start with your friends. This will be too big for mid-block on 14th. The Costco Wall over the Chester apartments will be ugly. An example of a tiny bit of so-so heritage (the Porchlight facade) used to justify an inappropriate increase in height. Where was the Design Review Board? Sorry, but its 2012 and almost NO ONE uses physical film anymore. If they weren’t being pushed out by construction, the lack of business would mean their demise anyway (look at Kodak). I regret when a 28 year strong store closes too, but should we still have betamax stores because .0001% of people still use the format? 28 years. I’ve lived on the hill for almost 20. Very sorry to see this happen. You will be missed, as a business and the staff. Sad for 60 Minute – that team is really dedicated to the craft and as mentioned, they’re longtime neighbors. Best of luck to you all. As for lull. – what is this about? Why would any small business that wishes to thrive start up in a location that is soon to be bulldozed? Makes no business sense. Might work for a corporate pop-up, but not for a brand new business. And what was the property owner thinking, allowing two spas in one building with just three businesses? Disloyal. I am so relieved that Salon Dewi will march on in a new location later this summer. Viva Salon Dewi! I’ve been quite fortunate to know 60 Minute Photo lab and very friendly professional people there in my neighborhood. Thank you so much for providing excellent service for many years, and I wish you all the best wherever you go! So sad to hear that we’ll be losing 60 Minute Photo. Pay no mind to Frank – sure Film is a niche market, but it’s still alive and kicking. They finally managed to kill off their business and the jobs of their loyal staff. Thanks for your years of loyal service and sacrifice. That’s all you get – “thanks”.